Is the Term Close a Sale Negative? What Is Another Word for Close in Sales? Every industry has its own set of words that mean something unique to that industry. The sales industry is certainly no exception. The word close can mean a lot of different things depending on how the word is used. For example, if someone told you that the restaurant down the street was going to close its doors, you'd probably consider that bad news. But if a sales professional told you he was about to close a big deal, you'd either congratulate him or her or question them about what closing a deal means. When a salesperson closes a deal, it means that they have made a sale. The reason making a sale is often referred to as closing a sale, is that most sales involve a sales cycle, from understanding the customer's needs to overcoming their objections. When a deal is closed, the sales cycle is completed and another sales cycle, either with another customer or with the same customer, begins. There are many sales professionals who don't like or don't use the term closing when it comes to their sales activities. For them, closing is something you do when you are done with something or implies hard closing techniques that are so unpopular with customers. These professionals prefer phrases like earned a sale, made a customer or solved a customer's problem. 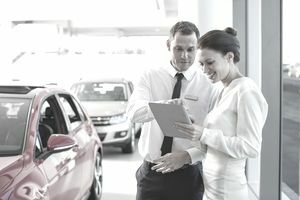 Customers, too, often dislike the phrase close a deal because it can make them feel as though they have been sold something and would much prefer to have bought something. It may go back to that age-old saying, "he was sold a bill of goods" which means that you were defrauded or deceived. There are hundreds of ways to close a sale and an endless supply of sales gurus touting their new and improved sales technique. While knowing different ways to close a sale are important, the hands-down best sale's approach is honesty. That's because (in addition to "honesty pays") customers and prospects are significantly more informed than ever before. With a simple Google search, people can learn a lot about your product, service, company, industry, competitors, and (depending on your social network) you. Customers today are better equipped at identifying less than honest statements made by sales professionals aggressive to close a deal. When a customer senses that the sales rep sitting across the desk from them is not being honest, all rapport disappears — and along with it, your chance of closing (or earning) the sale. American author Mark Twain once said that the difference between the right word and the wrong word is the same as the difference between a lightning bolt and a lightning bug. In other words, select the words and phrases you use intelligently. You never know, you might just lose a closing opportunity by talking about closing a sale, instead of earning a sale.